Comm Eye Health Vol. 12 No. 31 1999 pp 39 - 40. Published online 01 September 1999. Onchocerciasis (river blindness) ranks among the leading causes of visual impairment and blindness in Africa. 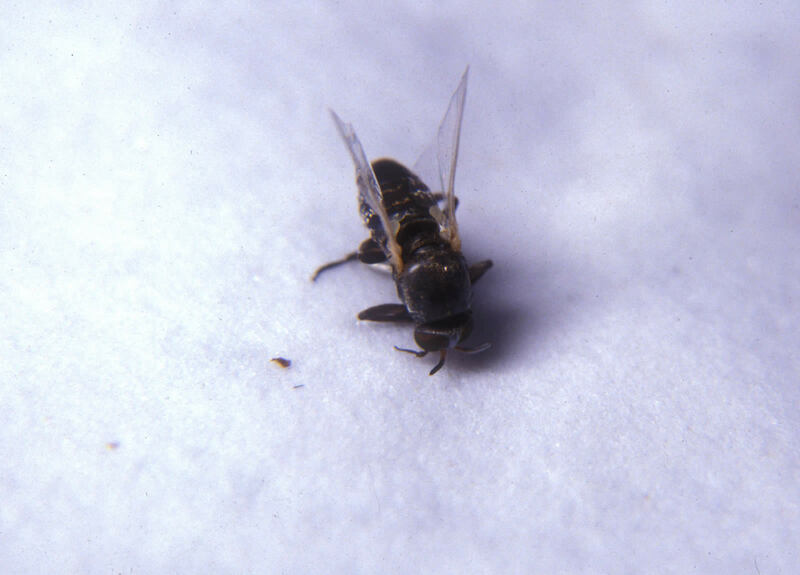 The infection is caused by the filarial nematode, Onchocerca volvulus, transmitted from man to man by the man-biting simuliid or blackflies which breed in fast-flowing water. With the availability of ivermectin (MECTIZAN®), a safe and effective icrofilaricide, suitable for large-scale treatment, active community participation in ivermectin delivery became crucial. The microfilaricide needs to be given at least once per year to affected populations, and continued for more than fifteen years. The Onchocerciasis Control Programme (OCP) and the African Programme for Onchocerciasis Control (APOC) sought for a community-based mechanism which could be integrated into and sustained by national health systems. APOC adopted the Community-Directed Treatment with Ivermectin (CDTI) approach with sustainable features as its principal control strategy. This approach is an evolution from community-based delivery strategies. It promotes active community participation as an integral part of ivermectin distribution, to improve access to the drug and a sense of community ownership of the project. The communities plan their own distribution systems. They make decisions on who should distribute the drug, the method (house-to-house, central location) and place (chief’s compound, school, church) of distribution. Communities collect ivermectin from a collection point if not located far from them and decide when to distribute ivermectin. Ivermectin distributors are members of the community chosen by the community through a democratic process and trained to distribute ivermectin – which is considered safe enough for trained non-health personnel to handle. 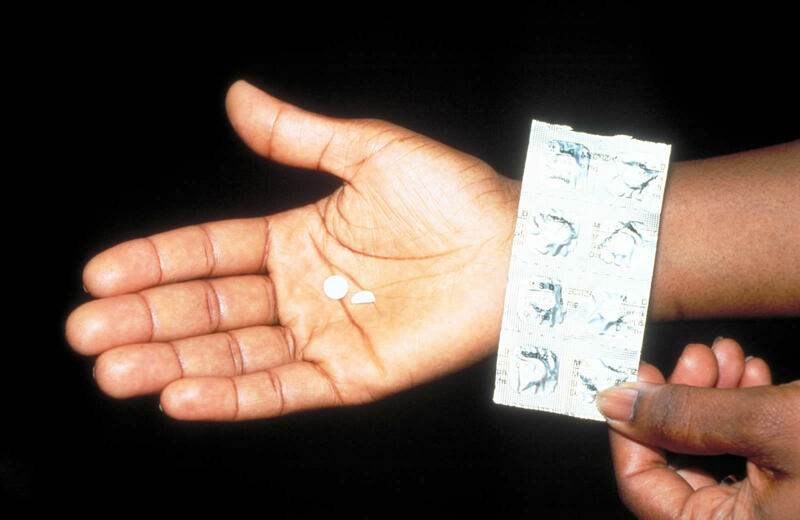 By 1998, 26,821 community-directed distributors (CDDs) had distributed ivermectin to their communities in 16 countries in the OCP and APOC areas. During health education sessions, communities are informed about the detailed tasks of a distributor. However, they are left to decide on selection and provision of incentives (if agreed) to distributors. conducting a census to determine the number of ivermectin tablets required for the next distribution. distribution of the correct dosage of drugs to eligible members based on eight measurement with measuring sticks photograph) and exclusion of those not eligible. keeping an inventory of ivermectin used, lost and unused. referring cases of severe adverse reactions to the nearest health facilities. To be able to carry out these tasks CDDs are trained and re-trained every year, or every two years, by members of the National Onchocerciasis Task Force NOTF). The NOTF is a partnership between Non-Governmental Development Organisations (NGDOs) and the Ministry of Health responsible for installation of sustainable ivermectin delivery systems. In the Table, the occupations of ivermectin distributors in 22 communities are resented. The primary occupation of 52% of the distributors is farming. Individuals with other types of occupation are selected. As shown in the Table, a community in Country A selected a policeman and a soldier to distribute ivermectin to members resident in areas inaccessible to civilians due to social unrest. Because CDDs are required to record treatment in a notebook or register, communities select literate members (persons who can write). The current challenge to field staff is the high turnover of literate and young CDDs (e.g., students) whose aim is to secure better jobs in urban centres. So far, few ivermectin distributors have been females.2,3 This situation has been attributed to poor participation of women in the traditional decision-making process. Also, in cultures where women are in seclusion, distributors are predominantly males. This is a challenge to CDTI drug distribution strategies that require ivermectin to be swallowed in the presence of a distributor. Including females as distributors will enable treatment of other women in seclusion. In cultures where women are in seclusion and there are no female CDDs, husbands have collected ivermectin for their wives. This approach may contribute to proxy reporting and lead to inconsistencies in treatment figures reported at different levels. delays in the delivery of ivermectin from port to the community. follow-up and treating members of the community who were absent during the period of mass treatment (absentees) and refusals. the house-to-house mode of distribution. complex record-keeping demands, which affect the schedule and work load of the distributor resulting, in some instances, to high attrition (fall out) rate among distributors. the role of each partner in the delivery of ivermectin. the monetary value of the contributions of other partners (Merck, MOH, NGDOs) to bring ivermectin to them. that community contribution, as partners, includes support (in ‘kind’, cash) to distributors. Alhough the selection of distributors should be decided by the entire community, the decision-making processes that may exist in a given community prior to commencement of a control programme, has resulted in village leaders in some communities selecting+themselves or relatives as distributors. I wish to thank Dr K Y Dadzie, Director, and Dr A Seketeli, Programme Manager, APOC for their encouragement and permission to publish this article and for use of the data. I am most obliged to the APOC and OCP countries where Community-Directed Treatment with Ivermectin (CDTI) programmes are in place. 3 African Programme for Onchocerciasis Control. Report of Independent Monitoring of Community-Directed Treatment with Ivermectin in APOC countries, 1998.